Apple has started to pay off its $15.3 billion tax bill to Ireland, the country's Finance Minister has confirmed, transferring the first $1.76 billion payment to an escrow account. Finance Minister Paschal Donohoe informed Reuters on Friday the first payment has made its way into the escrow account. While the amount of 1.5 billion euros ($1.76 billion) was confirmed by the minister, it is unclear exactly when Apple made the payment to the account, nor when the remainder of the due taxes will be similarly paid. Bloomberg reports the European Commission is considering dropping its legal action against the Irish government for failing to collect the back taxes, due to the first payment. In March, the Commission advised it would be willing to withdraw from the case, originally launched due to the slow progress in recovering the taxes, but only if the full amount was paid. "We continue to be in close contact with the Irish authorities and hope that recovery of the illegal aid is completed in full as soon as possible," the European Union advised. "That would also allow us to close the ongoing procedure before the EU Court of Justice against Ireland for not having implemented the Commission decision of August 2016." The decision in question was an order to Ireland to collect 13 billion euros in back taxes, following an investigation into Apple's tax affairs. The Commission argued Apple had received preferential tax treatment from Ireland, constituting illegal state aid. Apple funned large sums of revenue through Ireland, using assorted loopholes in order to pay the minimal amount of tax due. The Commission's investigation found Apple paid 1 percent on profits in 2003, and as little as 0.005 percent in 2014. The Irish government was accused of reverse-engineering tax deals it made with Apple on the fly, to ensure favorable rates. Both Apple and Ireland have denied any wrongdoing, and are appealing the decision. 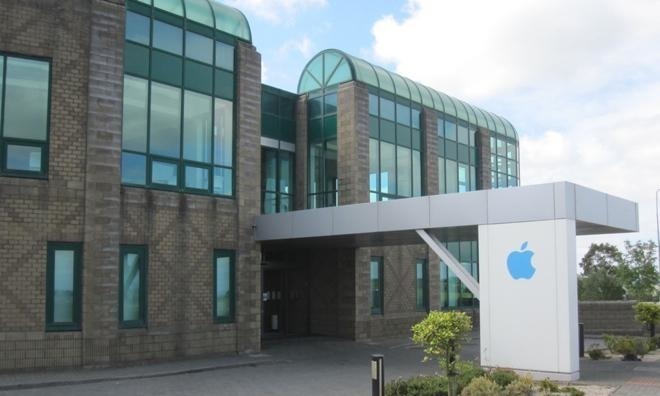 On Thursday, the European Union Court of Justice blocked efforts by the U.S. government to help Apple, despite the U.S. claiming it has a vested interest in the affair, as Apple could potentially claim tax credits over the Irish funds. The appeal for the case is likely to be heard in the fall, Donohoe suggested in April, but an exact date is unknown. As part of the ongoing legal action, the unpaid taxes are to be held in escrow by the Bank of New York Mellon, with the full amount expected to be paid by the end of the third quarter of 2018. Outside of the courtroom, critics have accused Apple of violating the spirit of tax law, and depriving government services of badly-needed funds. In France, Apple has been met with repeated protests proclaiming a similar message. Since the investigation, the European Commission has proposed changes to tax law that would require digital media companies to pay based on where revenue is generated, not where the company chooses to locate its European headquarters.